This Power Control Module controls two sensor switches. This device has a rechargeable battery so there is no need to change batteries. 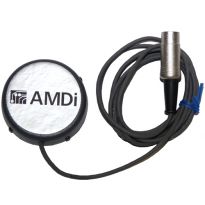 There is an option to have an auditory beep tone when the sensor switch is activated included. A third output jack is activated when both sensor switches are activated at the same time. Size: 7" x 6" x 1.5"